Round Corner Cutters are a must have for any print shop. If you are doing jobs for customers for materials that will be transported, worn, or handled regularly, a round corner is better to have than a sharp corner. Round corners prevent your finished product from snagging, cutting, or being an overall nuisance to your customer. Many cases it can add to the creativity to your finished document. So, sharp edges, and corners can be eliminated with the Lassco CR-177 1″ Capacity Corner Rounder,. You’ll be able to eliminate the problem that sharp corners can cause. Corners can catch on clothing and snag, leaving you with some fairly annoyed co-workers. We’ve even known people who cut themselves on a sharp edge, although it’s pretty rare. 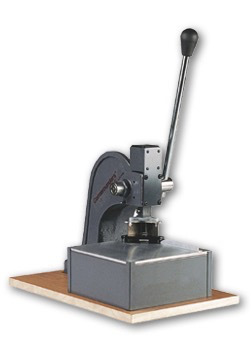 Lassco CR-177 1″ Capacity Corner Rounder is great for high capacity round corner cutting. 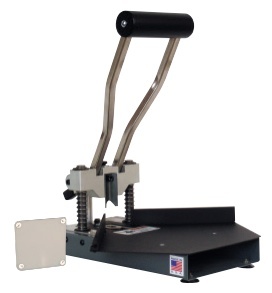 It can handle up to 1″ thick stock, so you can cut a lot of photos, papers, invitations, or ID badges all at the same time. It’s great for the print shop that handles a lot of invitations and laminations, as well as the company that produces a lot of ID badges on a regular basis. The Lassco CR-177 offers a variety of single radius blades as well as double sided radius dies to meet every need. The Lassco CR-177 1″ Capacity Corner Rounder is $365.50 at Lloyd’s, and it comes with a 1 year manufacturer’s warranty. For more information on the Lassco CR-177 1″ Capacity Corner Rounder or to place an order, please visit the Lloyd’s website.